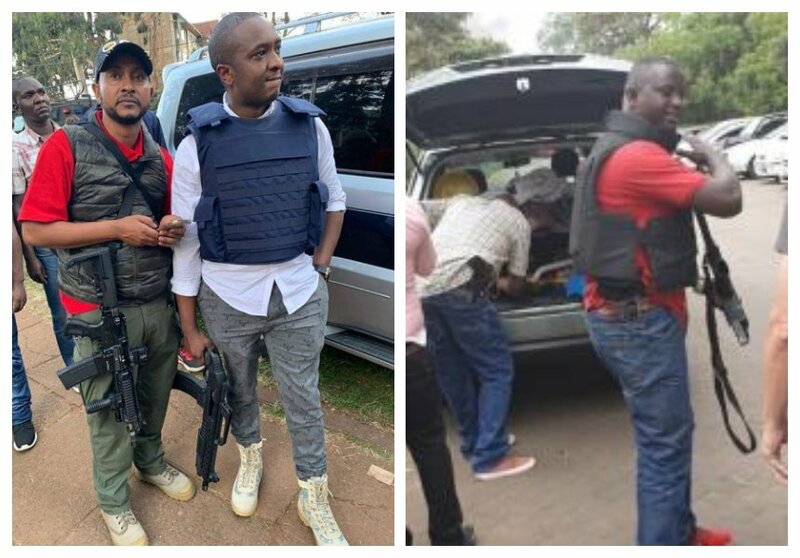 Steve Mbogo caused a stir on social media after he was spotted at Dusit D2 hotel at the 14 Riverside Drive armed with a deadly assault riffle. 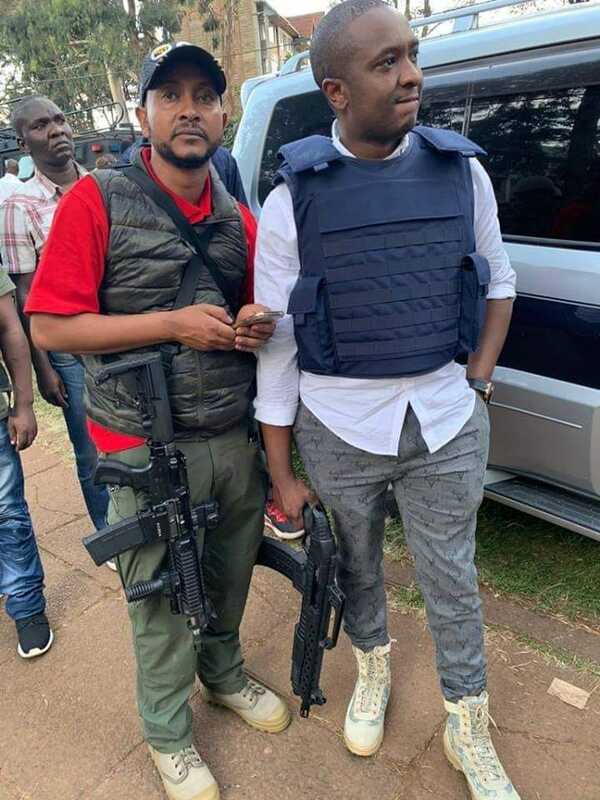 The former Starehe parliamentary hopeful was armed to the teeth, he donned military boots and he was also wearing a bulletproof jacket. Mbogo was among licensed firearms holders who offered to help after terrorists attacked the Dusit D2 hotel. The politician says he was running errands near the facility when the attack happened. “I am a licensed firearms holder. I was running my errands near the dusitD2 Hotel here in Nairobi, when I learnt that the facility was under a terror attack. Because I was in a position to help, given I have good knowledge on how to handle firearms and protect myself against such situations, I went in to help in the rescue operations. 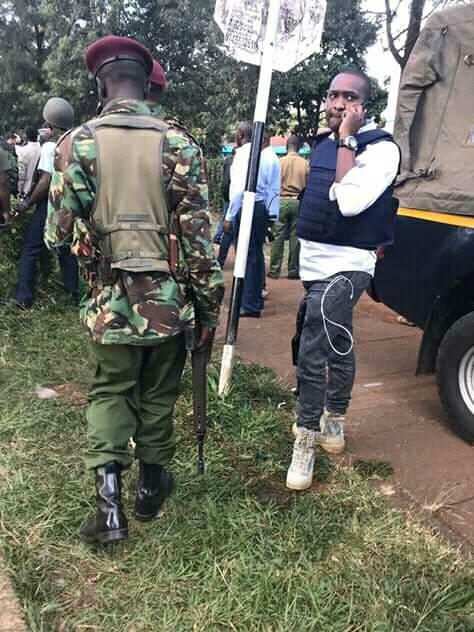 If you are asking in what capacity I was there, I would tell you: I was there as a civilian, who is mandated by law to handle firearms,” Steve Mbogo told eDaily.